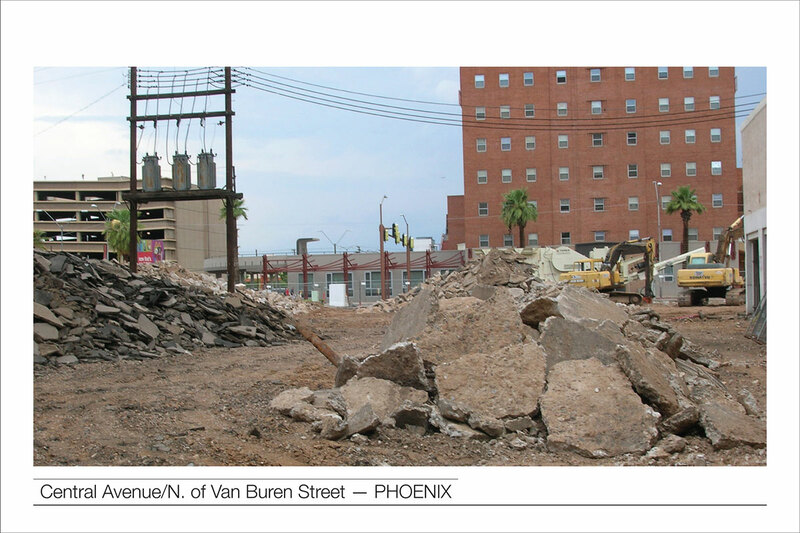 Mapping vacant lots and rubble piles in Phoenix, AZ. 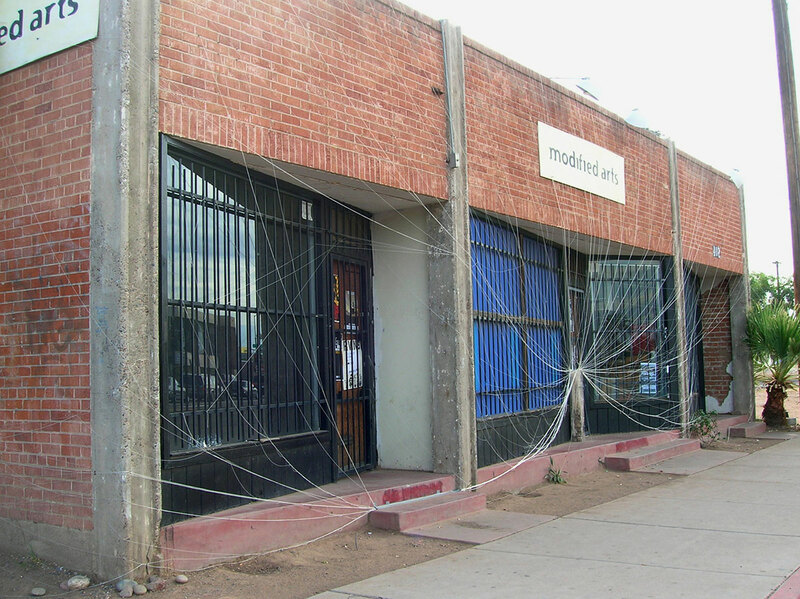 Installation at Modified Arts, Phoenix. 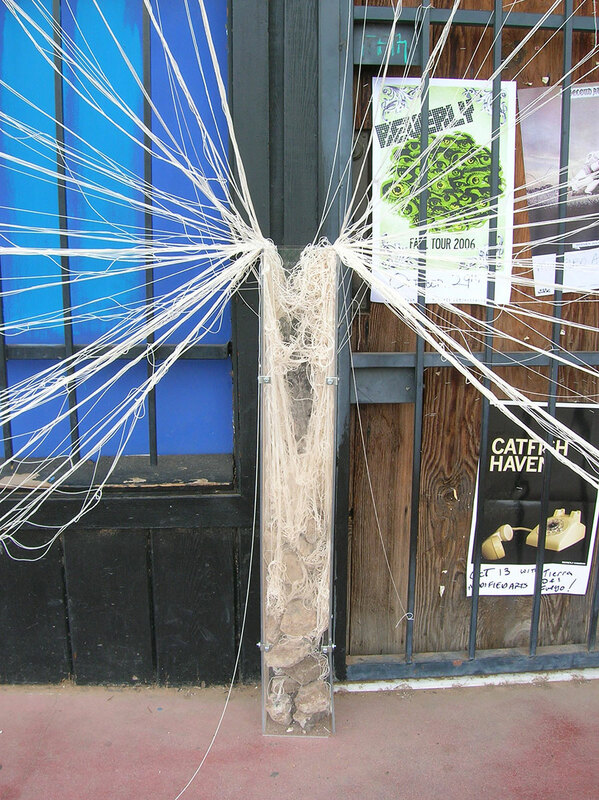 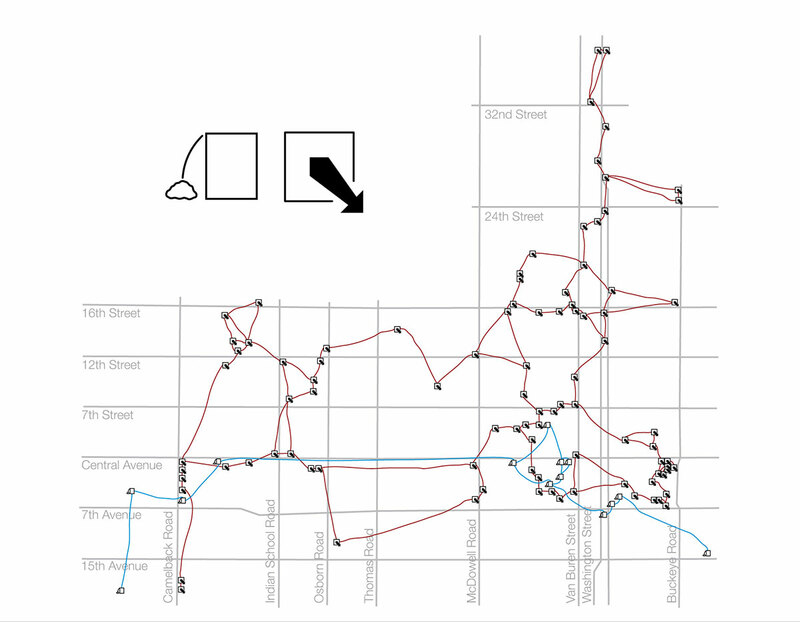 I collected rubble around the city, marked where I collected it, scratched those locations into the plexiglas tower located in front of Modified Arts, wrapped string around the rubble, put pieces of the rubble in the plexiglas tower, then wrapped that string around the Modified Arts building.